Coaching workshops for a homelessness charity’s management team. This is what happened when we connected the Centrica ‘UK Home’ leadership team with Horton Housing, a non-profit housing association in Bradford, to share their skills and experiences with over 20 of the charity’s managers. After a period of rapid expansion over the last few years, the Horton Housing staff team has grown to 350 people, with many working their way up through the ranks from front line delivery into management roles, with little time or funding for personal development and leadership training. Cue the challenge for the Centrica leadership team: Use your decades of business skills and experience to up-skill the Horton Housing management team in three key areas; leadership, customer service excellence, and compelling communications. Before the volunteers split into groups to lead the skills workshops, they heard a series of powerful testimonies from a number of Horton Housing clients who explained how the charity’s support had helped them get back on their feet. From Syrian refugees to members of the addiction recovery project, several admitted that the charity’s intervention had meant the difference between life and death for them. 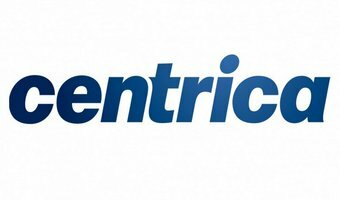 The Centrica team delivered an afternoon of highly practical and interactive skills workshops for Horton Housing managers, and at the same time developed a deep understanding of the vulnerabilities that can affect customers – thereby not only sharing their skills but gathering valuable insight in the process.